On February 3, 2019, the New England Patriots will face off against the Los Angeles Rams in Super Bowl LIII, and after opening as a 1-point underdog, the Patriots have held firm all week as a 2.5-point favorite at BetOnline. Additionally, the Rams-Patriots total, which opened at over/under 58, initially dipped slightly to over/under 56.5 but has remained level for the better part of two weeks. But before betting on the big game, it’s important to keep some historical trends in mind so you get an idea for how past Super Bowls have played out. How often do Super Bowl favorites cover the spread? From an all-time perspective, the favorites have covered in 25 of the 52 title games, but since 2 are pushes, the favorites and underdogs are tied 25-25. 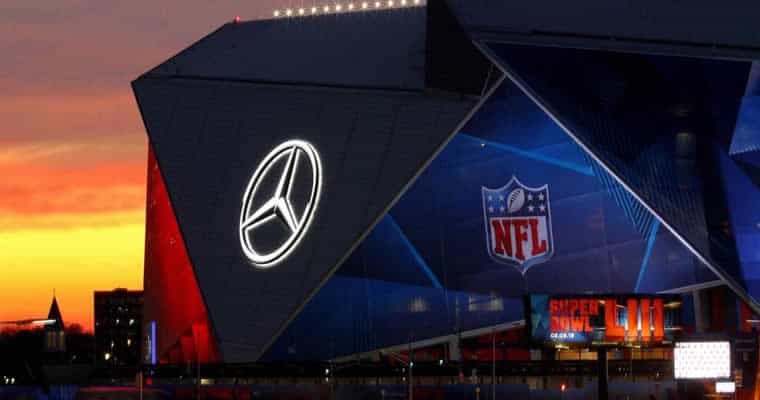 However, recent Super Bowl history is not as kind to the favorites, and this should be valued more heavily due to being more similar to the way the game is currently played. Since the turn of the century, the favorites have only covered six times 18 games, and only three times in the past ten meetings between AFC and NFC champs. They have faired a bit better recently, covering two out of five games. Do the total points in the Super Bowl fall on the over or under more often? When looking at betting on whether the total number of points scored in the Super Bowl will go over or under, the over comes out ahead in 27 of the 51 recorded total points lines and the score has landed exactly on the total only once for the push. What’s interesting is that the first total points betting line was first recorded for Super Bowl II, which narrowly went over by four points. However, to give you an idea of how low scoring the NFL was in the early days, from Super Bowl III to IX (7 games) the total finish under and was even set at 33 total points for three straight years (this year is 56.5 by comparison). Since 2000, the over comes out narrowly ahead 10 games to 8 times it went under. However, the over has dominated during the past decade, coming out on top in 7 out of 10 games and 4 out of the past 5 games overall.